Racers can qualify for the Perfect Light Club during any Gold Cup, Club Challenge or High School/Alumni Street Legal event during the season. 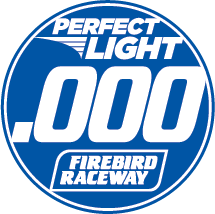 Either during time trials, qualifying or eliminations, if you’re lucky (or just plain good enough) to drill a perfect .000 reaction time, you will earn a Perfect Light Club decal. We will track all those who qualify during the racing season and list them out. Additionally, we plan to randomly select one racer at the end of the year to win a Treasure Chest of prizes. Good luck to everyone trying to earn a spot in the Perfect Light Club. Best of all, you can add your name to the list as many times as you hit the triple “O” reaction time.